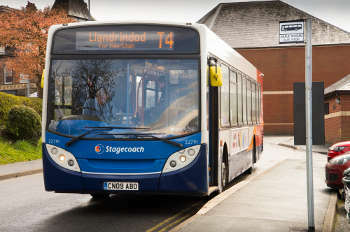 Over a third of the local transport authorities in Britain have cut subsidised bus services during the current financial year, despite a long-term fall in contract prices. The Association of Transport Co-ordinating Officers (ATCO) has estimated that average budget increases of between 2.3% and 3.1% will be needed in 2017/18 to maintain the existing levels of local bus and educational transport services paid for by councils. John Carr, chair of the ATCO performance executive, said ‘The results from our latest annual survey of prices, expenditure, competition and performance in local authority passenger transport services show that councils continue to face an uphill struggle to keep passenger transport services for those that most need them. ATCO found that 36% of councils surveyed ‘had to’ cut supported (subsidised) bus services in 2016/17. This is despite contract prices for subsidising socially necessary bus services falling for the eighth consecutive year (an average of 2.0% less in 2015/16 than in the previous year). School bus and Special Educational Needs contract prices fell for the 10th consecutive year (averaging 8.3% and 2.3% less respectively over the same period). However, operators are experiencing cost pressures, with the Confederation of Passenger Transport’s Cost Index at June 2016 showing wage inflation of 3.8%. ATCO said there is concern that the rate of withdrawal of commercial bus services has increased and that some operators are terminating subsidised service contracts early because they are no longer viable. Barely half of all the commercial bus services withdrawn are being replaced, although councils are managing to replace over 90% of all transport contracts terminated early. ATCO said 73 out of 130 local transport authorities outside London responded to the survey, with several saying that because of reorganisation and/or reduced staffing meant they were unable to respond.